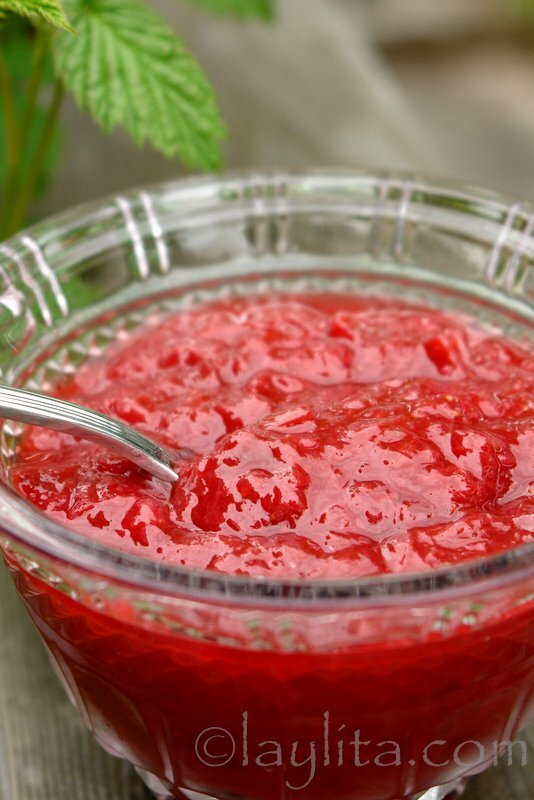 This easy recipe for homemade strawberry rhubarb sauce or compote made with strawberries, rhubarb, lemon juice, sugar and water. I had some strawberries and rhubarb leftover from the tart I recently made, and decided that the best way to use them was to make a yummy strawberry rhubarb sauce that could be used as a topping for pancakes, crepes, or waffles. 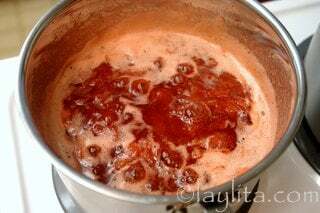 Fresh fruit sauces or compotes are so easy to make at home, and as I’ve probably mentioned before, since you make it yourself you can control how much sugar is added to the sauce – and trust me, you need a lot less than is usually included in the store bought fruit sauces or jams. You can also substitute the sugar with honey or other natural sweeteners. 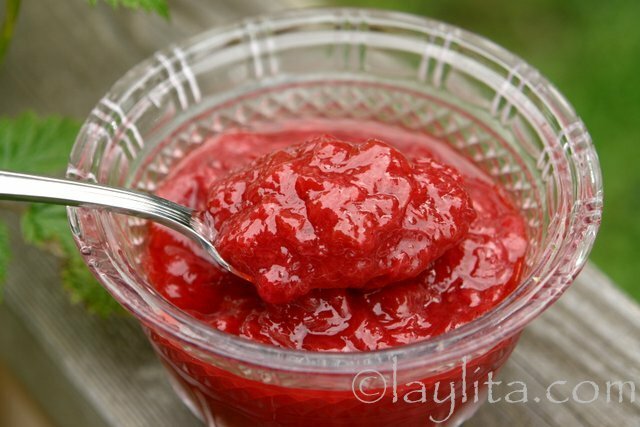 This strawberry rhubarb sauce is also a great topping for desserts like ice cream, custards, pannacotta, and even cakes. The sauce can be served warm or cold. 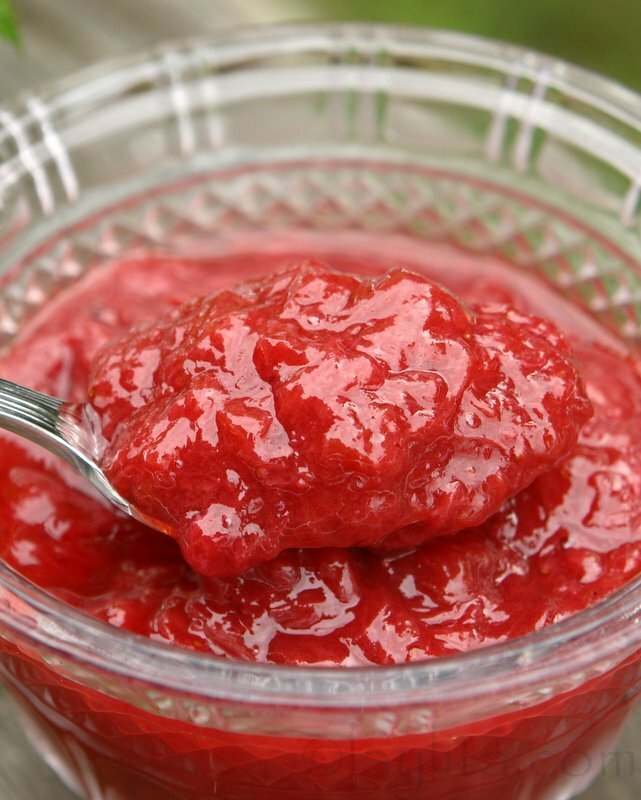 Easy recipe for homemade strawberry rhubarb sauce or compote made with strawberries, rhubarb, lemon juice, sugar and water. 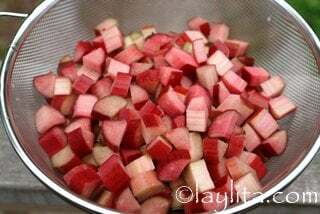 Combine the strawberries, rhubarb, lemon juice, sugar and water in a medium sized sauce pan. Bring it to a boil and let it cook on low to medium heat for about 30-45 minutes, cook less or longer depending on how thick you want it. I make several batches so that I can freeze it!! 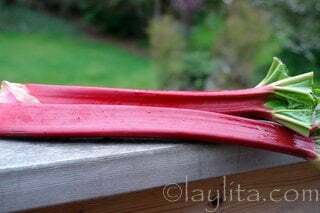 I frequently can stewed rhubarb. 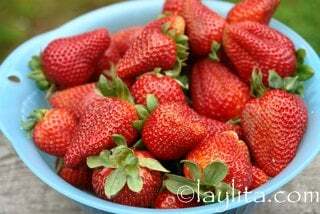 This recipe has the strawberries added, but you should be able to can it as well. If you follow the sanitary methods necessary to insure a safe product, the result should be terrific. Great for those winter days when youneed a bit of summer flavor to get throught he cold! 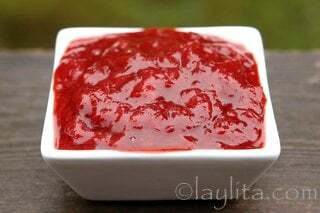 Could this sauce also be canned just like jam would be? Hi Lucie – I’m completely clueless about canning, so I really don’t know if it would work.